After scoring 100 goals and 197 points in 124 games with the Sarnia Sting of the OHL, Steven Stamkos was chosen first overall by the Tampa Bay Lightning in the 2006 NHL Draft. It wasn’t the first time he was taken first in a draft as he was also chosen first by the Sting from the Markham Waxers of the Ontario Minor Hockey Association two years earlier. Stamkos had scored 105 goals and 92 assists for 107 points in just 66 outings with his hometown Markham club. The 6-foot-1-inch, 195 lb center would prove he could also score at the elite level as Stamkos has his name engraved on the Rocket Richard Trophy for leading the NHL in goals in 2009/10 and 2011/12. Stamkos enjoyed a consistent rookie season and set a few milestones along the way by becoming the first Tampa rookie to record a hat trick and the third-youngest in NHL history. He finished the season with 23 goals and 23 assists and notched 19 points in the final 20 contests of the year. He started his second season where he left off the first by netting 10 times in the team’s first 11 outings. He posted a point streak of 18 games during the year and ended it tied with Sidney Crosby in goals at 51. He also added 44 helpers and his 95 points were good for fifth in league scoring. He also became the third-youngest NHL’er to bag 50 goals in a season behind Jimmy Carson and Wayne Gretzky. Stamkos was red hot to begin 2010/11 with 19 markers in the first 19 outings. 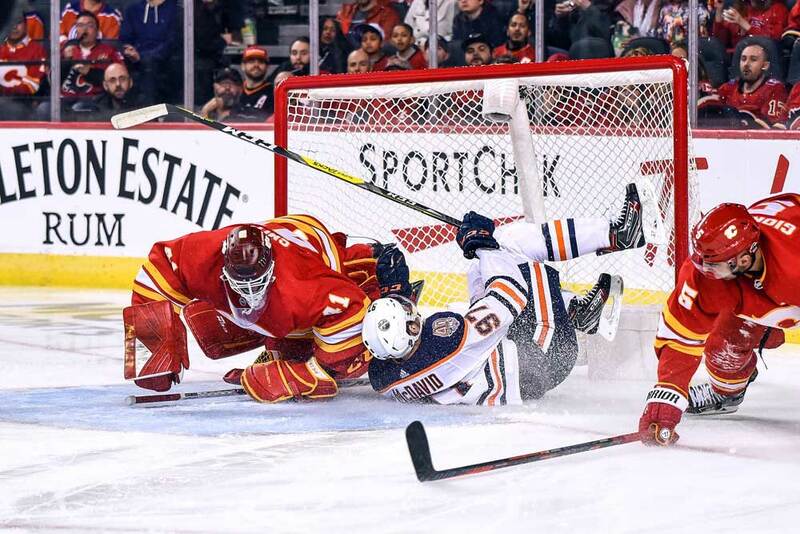 He finished the year with 45 goals to rank second in the NHL and placed fifth in league scoring once again. 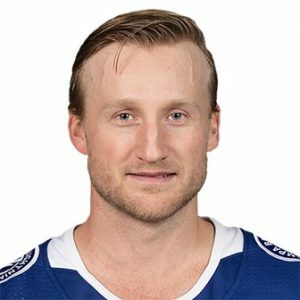 Stamkos saw his first playoff action with 13 points in 18 contests, but Tampa fell in seven games in the Eastern Conference Final to the Boston Bruins. He finished the year by being named to the NHL’s Second All-Star Team. Stamkos was a restricted free agent in 2011 and re-signed with Tampa for $37.5 million over five years. He set a league record with five regular-season overtime goals and finished 2011/12 with a league-high 60 goals to accompany his 37 assists. He took the Rocket Richard Trophy home for the second time after sharing it with Crosby two years earlier and was named a finalist for the Hart Memorial Trophy. Tampa failed to reach the playoffs, but Stamkos once again made the league’s Second-All-Star Team. The 2012/13 season was shortened to 48 games due to a lock out, but Stamkos ranked second in goals with 29 and added 28 helpers for 57 points. He played just 37 games in 2013/14 due to a broken leg, but still managed 25 goals and 15 assists and was named team captain before the season ended. 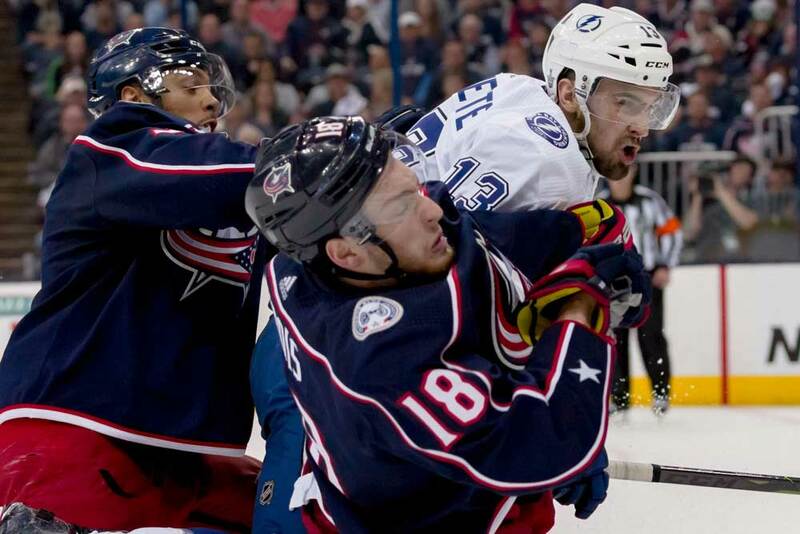 The Lightning reached the Stanley Cup Final in 2014/15, but were downed in six games by the Chicago Blackhawks. Stamkos notched 18 points in 26 postseason games after racking up 43 goals and 29 assists in 82 regular-season contests. Stamkos came down with a rare condition known as thoracic outlet syndrome in 2015/16 after scoring 64 points in 77 games. 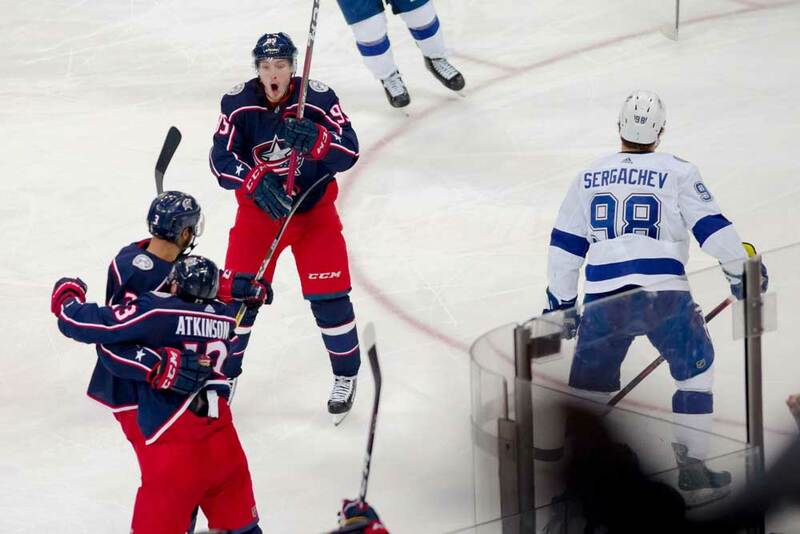 He underwent surgery and returned against the Pittsburgh Penguins in the seventh game of the Eastern Conference Finals where the Lightning lost 2-1. Although Stamkos had set numerous club records and milestones the Lightning were afraid of losing him to unrestricted free agency in 2016. However, he inked a new $68 million deal over eight years, but played played just 17 games in 2016/17 after suffering a knee injury. With his knee healed, Stamkos returned in 2017/18 and scored at least one point in his first 11 games. He finished the year with 27 goals and 59 assists for 86 points and added 16 points in 17 playoff contests. Tampa was eliminated in the Eastern Conference Final though by eventual Stanley Cup champions the Washington Capitals. Stamkos has starred for Canada in many international events and won a gold medal at the 2008 World Junior Championships and the 2016 World Championships. He also helped his nation win the 2016 World Cup of Hockey. The Lightning captain is an excellent sharpshooter, has brilliant hand-to-eye coordination and is a power-play specialist with a knack for scoring big goals. He isn’t afraid of the rough stuff, but sometimes pays the price with injuries.